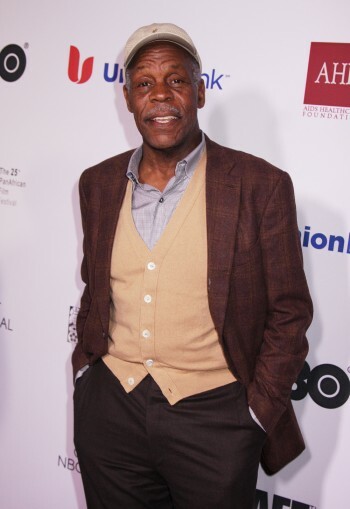 Actor, producer and humanitarian Danny Glover, who served as Goodwill Ambassador for the United Nations Development Program, will be presented with the NAACP “President’s Award” at the 49th NAACP Image Awards. From 1998 to 2004, Glover served as Goodwill Ambassador for the UN focusing on issues of poverty, disease and economic development in Africa, Latin America and the Caribbean. His upcoming projects include “Come Sunday” opposite Chiwetel Ejiofor, “Old Man & The Gun” with Robert Redford,and “Proud Mary” opposite Taraji P. Henson which hits theaters Friday. The NAACP Image Awards celebrates the accomplishments of people of color in the fields of television, music, literature and film, and also honors individuals or groups who promote social justice through creative endeavors. Winners will be announced during the two-hour star-studded event hosted by Anthony Anderson, which will be broadcast LIVE on TV ONE at 9pm/8c on Monday, January 15, the federal holiday honoring the birthday of Dr. Martin Luther King, Jr.